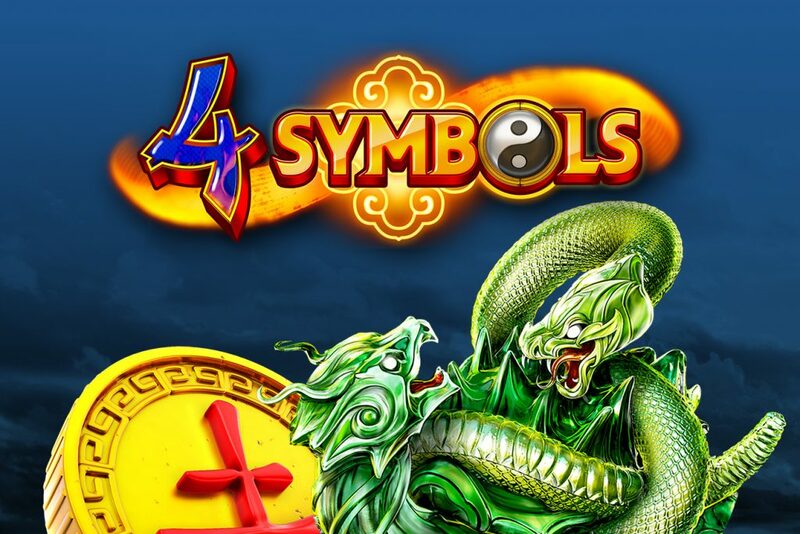 The great beasts from the Chinese constellations, better known as the '4 symbols' are finally joining the ranks of our beautiful games. Get excited to win alongside these creatures of legend in this brand-new experience from GameArt! Step inside for mighty wins and let loose your wildest dreams. 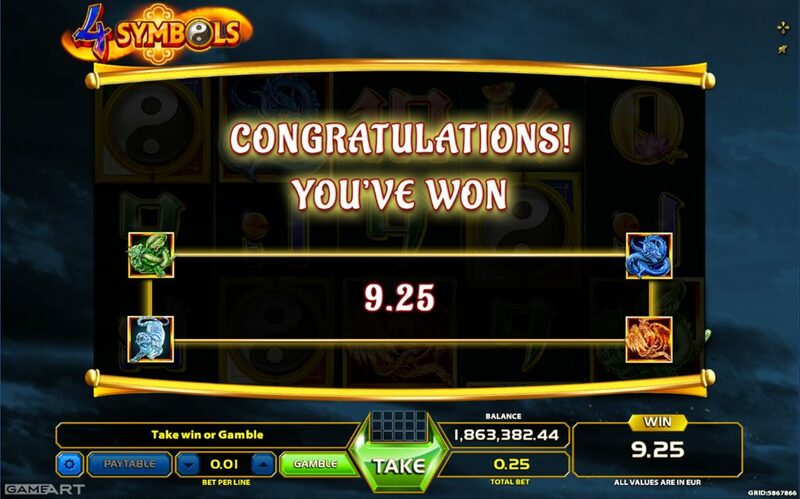 In this 5-reel game with 25 paylines balance is key, as the slot is packed with a fused 'freespin / bonus' game that is guaranteed to bring you countless moments of excitement. As the wins are paid from the leftmost to the right wheel, be sure to keep an eye out for the scatter symbols! 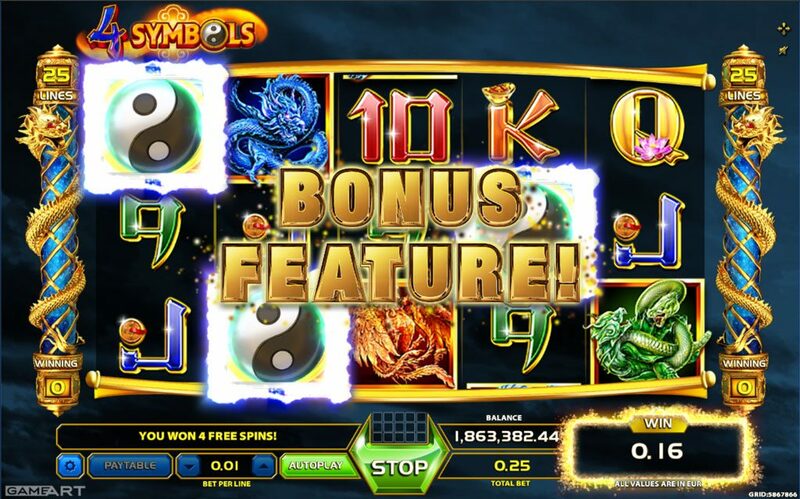 When Light and Dark compliment themselves, three Ying Yang symbols appear consecutively awarding freespins and triggering the bonus session. A new batch of four 'reel sets' will appear, representing each of the four mighty beasts! 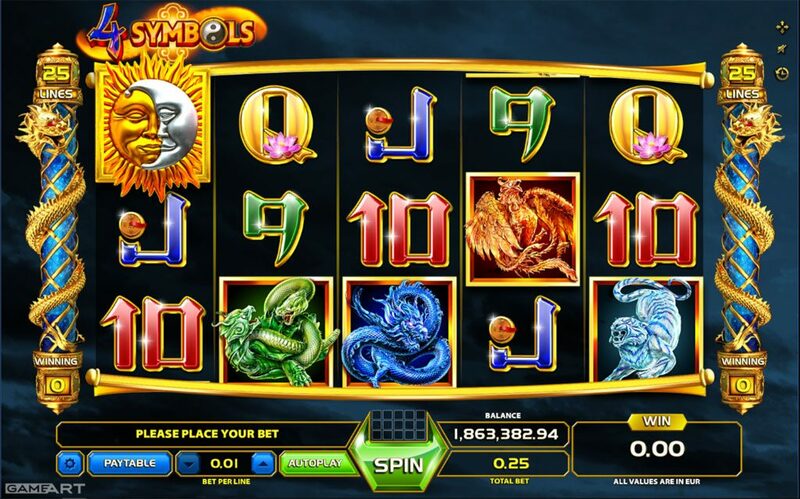 In this amazing feature you will be able to win re-triggered spins and with fortune on your side a 200 (x) multiplier of your win if all the reel sets win simultaneously and balance out the power of the beasts of legend! Is there anything left to say? Let's us not wait anymore, let us test the elements! From the Black Turtle in the North to the Azure Dragon in the East, the Vermillion Bird in the South and White Tiger to the West, be sure you are in good hands, as this game is GameArt and GameArt is the best! Good Luck!